Well we've been back from Africa for a week now and are slowly getting back on schedule. 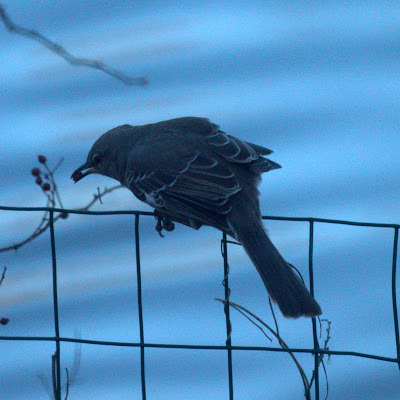 We haven't been out birding in NJ yet, but are enjoying our backyard birds. The mockingbirds are in our neighborhood all year but only come to our house in the winters. The red bellied woodpecker is year-round resident.